The Simpsons CMF Failure - Price or Product? Am I the only one who is seeing stacks of unopened Simpson CMF's boxes at their local retailers? The two closest Fred Meyers, 4-6 boxes each, and it's been this way since their release. Same at Target and Walmart. I can't speak of the local Lego store in Bellevue WA, given they do a better job filling in holes of product. Is it the $4/CMF? Or that the Simpsons are not something that the average CFOL is even aware of, therefore minimizing the number of impulse purchases of parents? Personally, I've only just come back into the fold, so my only real experience was TLM CMF's which seems like an awesome concept that I randomly found a few older CMF's scattered amongst random locations and snatched them up. $4/CMF is a bad pricepoint (anyone remembering getting squads of 5-6 Minifigs in a box for $5 back in the 90's)? What chance do we have of getting back to the $3/CMF price point? There will apparently be a second series, so they must not have been too large of a failure. I'm still seeing them in stores but not in masses. I'd say that if they haven't sold in as high volume it'd be because there is less desirability for army builders, but I think non FOL Simpsons fans would have helped to make up the difference a little. I think Lego may just have made a lot more Simpsons CMF than they did for the normal CMF series. The increased price at £2.49 may not have helped the sales though, even though it was boosted for the Movie CMF series first. I doubt that the prices of CMF 12 will be reduced to the previous £2 level. But Lego should seriously consider doing so to maintain sales. Otherwise most AFOL's will just wait for the retailers sales and buy them at 50%. I saw that, though perhaps that was part of the original contract with Fox. Price tag. 4 bucks is way to much for the things. if the series 12 is 4 bucks a piece too, i'll be passing on those. Retailers are ruthless and will return stock, issue fines, or enforce discount clauses if they don't meet pre-agreed revenue targets. I've worked in publishing and have seen almost the entire print run of a book returned and pulped two weeks after publication because it didn't sell through in supermarkets. Unless Lego has miraculously negotiated better terms with retailers than mega companies like Unilever and Coke, I'd be amazed if their stock is would be allowed to sit on retailer shelves undiscounted for any length of time. I think it did fine. Just over-produced, which is typical for something licensed like that. Frankly, I wish the Movie Series had been out longer. That seemed to be very short-lived. Also I think the fact that there is only the Simpsons House to accompany the CMF makes it difficult for some, if not a lot, to justify buying a handful or even a box of the CMF. If we had a whole line of buildings and other scenes then perhaps the CMF could be used to populate them; however, that is not the case. if the series 12 is 4 bucks a piece too, i'll be passing on those. Hmmm, long gone everywhere here in SoCal. LBRS can barely keep them in stock. It's because of no army builder. The same would probably be true of a super heroes CMF series too. Plus the parts are not as useful as regular CMF for mocing. Homer's head will always be Homer's head. around my way, the Simpsons and LEGO Movie figs disappeared in days, where as the regular CMF series hang around for months.....Mr Gold line it was a year and i was still finding fresh boxes. It's because of no army builder. The same would probably be true of a super heroes CMF series too. Yeah.... Simpsons seems to be the best selling one in ages along with the Movie minifigures. I'd see Simpsons get wiped out at the end of every week, and after about five restocks they wouldn't come back. TLM minifigures started slow where I live, but they flew of the shelves by the time the movie came around. On the other hand, Series 11 lasted a while, and they just disappeared all of a sudden in January. Series 10 was slower, with those lasting until about Christmas time. And Series 9 sold awfully, I still see those at some of my Targets. Crazy. It's the exact opposite in my area. Series 10 & 11 were gone in a flash. TLM lasted a little longer while the Simpsons are shelf rotting. Nobody seems interested. I think it's probably more a matter of supply. 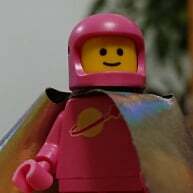 The LEGO Movie series sold out really quickly at a lot of stores, so when ordering the next batch of minifigures those stores probably overcompensated and bought more than the actual demand could support. Was that before or after the 2 for $5 deal? Honestly, I think because of a licensing deal, LEGO had to make extra batches of The Simpsons series. The lego movie figs were gone in a flash around here but the Simpsons seemed to linger for quite a while, even at TRU. I just don't see the Simpsons as a big "thing" any more and they seem to be really reaching with the merchandizing. Lego is the number one toy company. They are a juggernaut. I have heard that they don't accept return stock. Otherwise, Target wouldn't clearance Lego so quickly and WalMart wouldn't hang on to it for years. Publishing is different. Most of Target's clearance books are damaged or items that were returned to the wrong store. There are more aisles of books at Target than aisles of Lego, but when have you seen a clearance aisle for books? Exactly the same here in Iowa....Targets and TRU still have boxes sitting on shelves. I think there are multiple reasons why the Simpsons mf are possibly a slower selling minifigure. Me personally....I'm not a fan of the show, so I only bought to keep the mf sets going/complete and I stopped. Usually with other series I buy extras for the kids...they love the different mf and the accessories. When there's a group of kids playing Legos (ages 7-10) they've got all the mf in categories....SuperHeroes, Ninjago, Cops & Robbers, SpongeBob, Aliens....they're just a little confused as to what category Simpsons fit into. Sometimes they'll try Aliens..but they also like changing body parts, so that leaves the Simpsons sitting alone. ^^ The Simpsons are their own category. If Spongebob deserves a category of its own, the surely The Simpsons deserves one too. The simpsons biggest draw - being simpsons - is also it's biggest handicap. They're difficult to mix with an existing lego collection, and so stand alone as a self contained set. One of the fundamental appeals of lego, is the modularity, the mix and match-iness. The Simpsons lose some of that versatility. Simpsons fans will like these (shops will order lots of 'em too, as they're comfortable with recognisable, enduring, I.P.s), but non-simpsons lego fans will just be looking for ways to use torsos, legs, and accesories. (if they buy any at all), but find very little use for the heads... unless they get inventive. Plus with the price being higher due to the IP, it's not just more expensive per fig, but that lego fan is getting even less fig than normal. The ONLY reason i'd consider these is to maintain a complete CMF collection - but then i considered: My collection is never going to be a museum, or historical reference centre, it only needs to please me. So I decided to skip this set. That says something. I do know what, but it's something. But this is the first i've heard anyone describe the simpsons line a failure. Has it been? Or have stores kept buying them in? I thought it was going great guns from what i'd heard... weren't complete sets fetching loads on ebay? Apple $190bn - When you get this big, with a small range of products, you can boss retailers around. Lego woudl have to grow sales by 4000% and cut their range of core products to a copule of dozen to get the kind of relationship Apple has with the big retailers. I was always determined to have a full CMF collection (S1 onwards, the BR Figure, Clockwork Soldier etc.) but the whole Mr Gold issue scuppered those plans. I have no interest in The Simpsons and I went through the same argument that @legomatt raises... in the end, unless I see them on clearance somewhere (doubtful as most places near me sold out very quickly), I'll pass. Roll on S12!! So I decided to skip this set. That says something. I don't know what, but it's something. But this is the first i've heard anyone describe the simpsons line a failure. Has it been? I would hesitate to cite 'stores in my area can't keep them in stock' or 'my local GoofMart has tons of these left' as the end-all of a line doing well or not. I remember back when Friends debuted some were proclaiming it a massive failure because their particular store didn't seem to be moving any stock. No doubt that was true of some stores but in the big picture, Friends was a smashing success and Lego was scrambling to keep up with demand overall. No one would argue Star Wars is a bad selling line for Lego but those sets can often linger on with seemingly little turn-over or sit on clearance as well. A quick scan of completed items shows some of the highest items being removed (fraud??) everything else isn't anything that's blowing up my skirt. I visited my local LEGO store this week and saw a pile of CMFs and thought I was getting a lucky early sighting of S12. Then I realized it was the Simpsons and thought, "How are these still around?" I haven't been LEGO shopping in months, but these are still in stock? I missed out on TLM CMFs because it was only a month before I got into town to my local LEGO store and by then they were sold out, but Simpsons are going nowhere fast. Ugh. I was not even mildly tempted to pick one up. Heck, Target is close to having an Lego book aisle by itself. The other thing to keep in mind is that target trashes old books as they cost next to nothing. Were the lego sets do cost them something. Lego is the number 2 toy maker, 2013 revenue is 4.7B USD and Mattel at number 1 with 2013 at 6.5B USD. His name is donutboy, and Homer is the best fig for that name. Let's see the fight for market share at Christmas. We'll see what happens. You have to remember that part of the revenue increase is from the Lego Movie and unless they are making a new movie every year, sales will probably fall a bit next year. It's because of no army builder. Ok, so I'm obviously one of the few here that watches the Simpsons, but I saw 2 characters that would make good army builders. Itchy and Scratchy, if somebody cared to build Itchy and Scratchy Land, which I believe was based on the film Westworld. ^ The was also an episode where Homer gets cloned (I think a house of horror episode). Also as it was a quiet time of the year for sales, so any increase is somewhat inflated compared to a busy time. The 'army' in that were robots, so figs would need painting, also its a very niche army so i wouldn't really count it. ^ Ok, I should have looked up an image of the episode, rather than just go with my poor memory. I forgot that they actually looked like robots, although I remember the red pupils. I agree that they don't count as an army builder, and I'm now glad I only bought 2 of each of them. I mentioned it before in a different thread but there is also the Itchy and Scratchy fantasia parody, but again the figures would need modding. In theory multiple itchy and scratchy figures could be used to be the mascots at itchy and scratchy land, but they werent as numerous as the robots and still a very niche moc for multiple purchase. I work part time at a local family owned toy store in WI, and I can say for certain that the Simpsons CMF's have done very poorly for us. We usually get in 4 or 5 boxes of CMF's per series, and they will always be sold out after two months max. We have only sold about half of the ones that we received, and we received 4 boxes of these when they came out. They don't have the same type of appeal to parents or kids. Kids ALWAYS want minifigures, and parents usually relent especially when we offer to find a particular one for them (I have taught everyone at the store how to do the feel test to find the right ones). But kids don't look at these twice, and parents ignore them too. Now a Spongebob or Adventure Time series? Those would fly off the shelves.